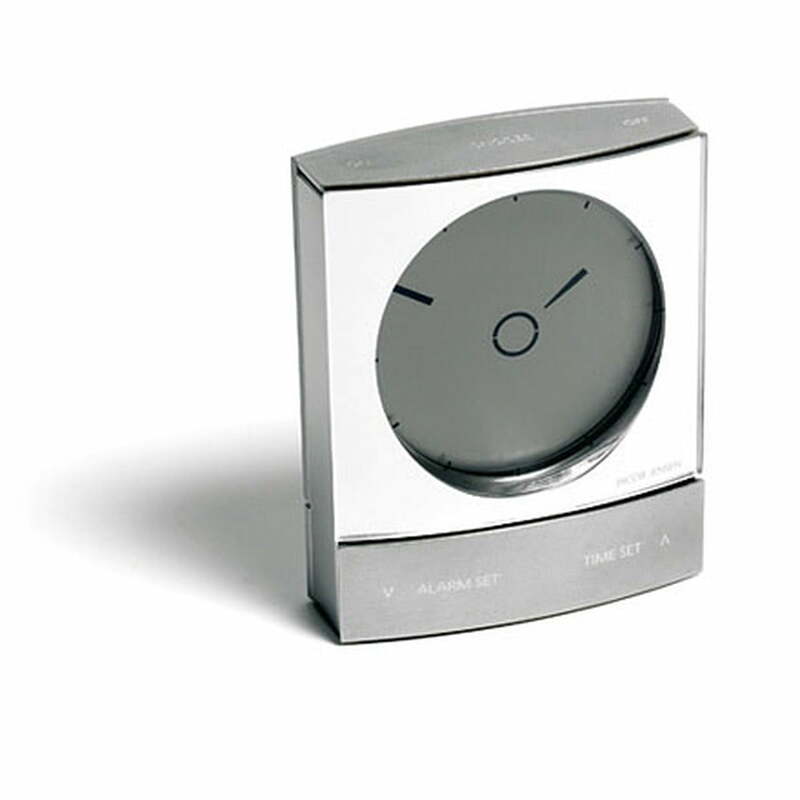 The successful clock and alarm clock series by Jacob Jensen was already awarded with the “Red Dot for High Quality” in 2002 and has now been expanded with another product. The typical angular, slightly convex shape of the product series now gets a new analogue dial, which reduces pointers and number lines to an absolute minimum. This consistency in simple, purist product design delights the owner not only for aesthetic reasons. The time can be easily read even with sleepy eyes. The LCD hands are completely silent and you don’t risk any mechanical wear. 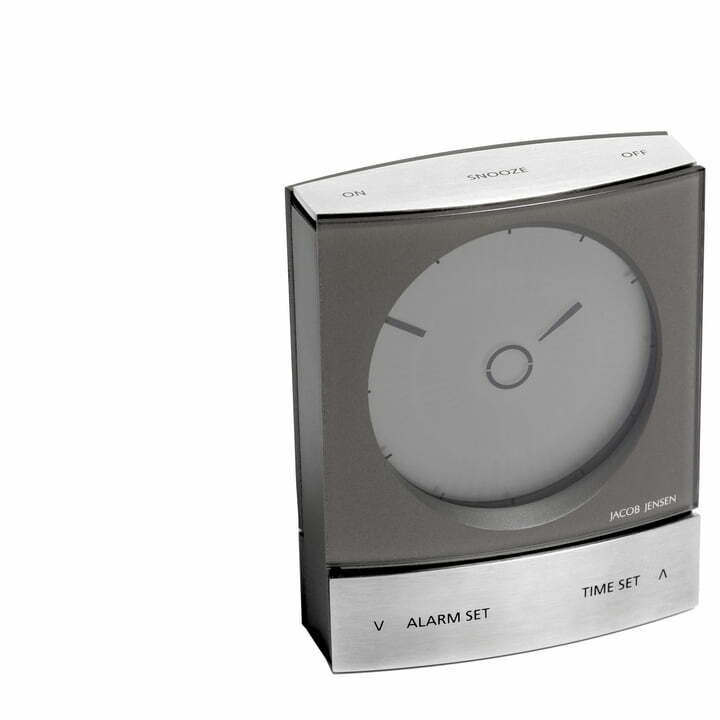 The alarm symbol in the centre of the dial signals the activation of the alarm and has a reassuring look. 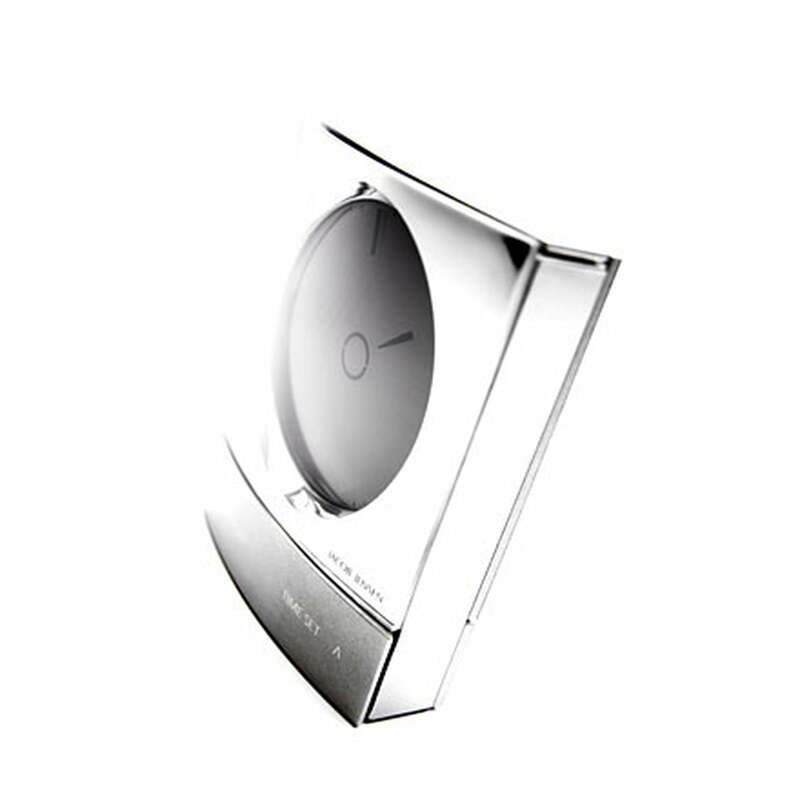 The inner segment lights up every second to represent a second counter and thus lets time pass in a pleasant way. The typical Jacob Jensen characteristics are to design technical objects with elegance and silent beauty, fulfilling the highest demands of touch, operation and long-lasting functionality. The technique does exactly what it promises. When your time to wake up has come, a subtle signal will reliably begin, falling into a more intensive alarm tone. The snooze function, which will sound every eight minutes, ensures a pleasant start into the day for late risers. 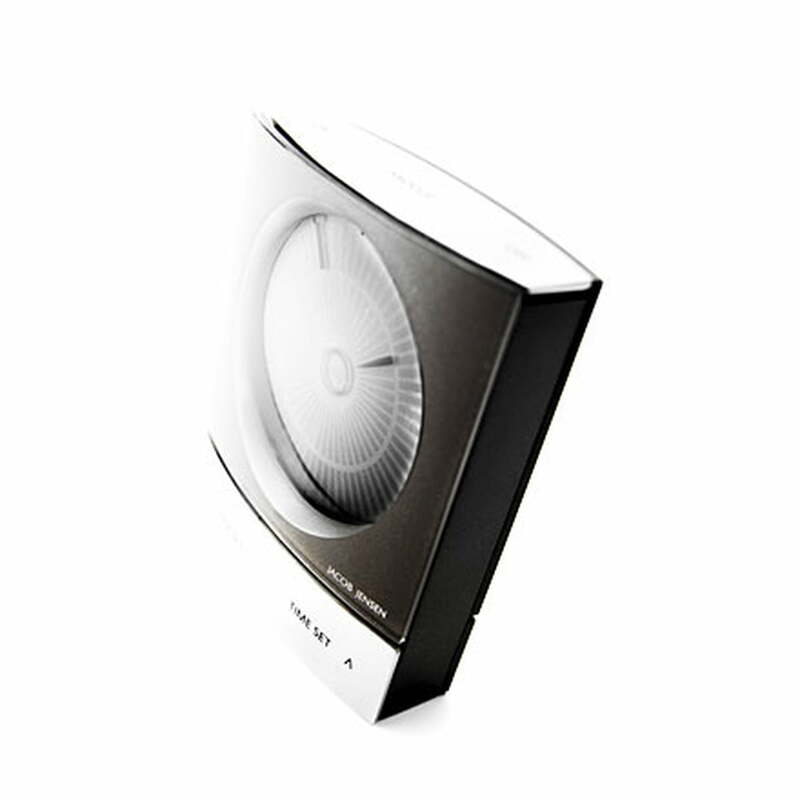 The integrated background illumination is activated when the alarm sounds or by lightly pressing the top button. 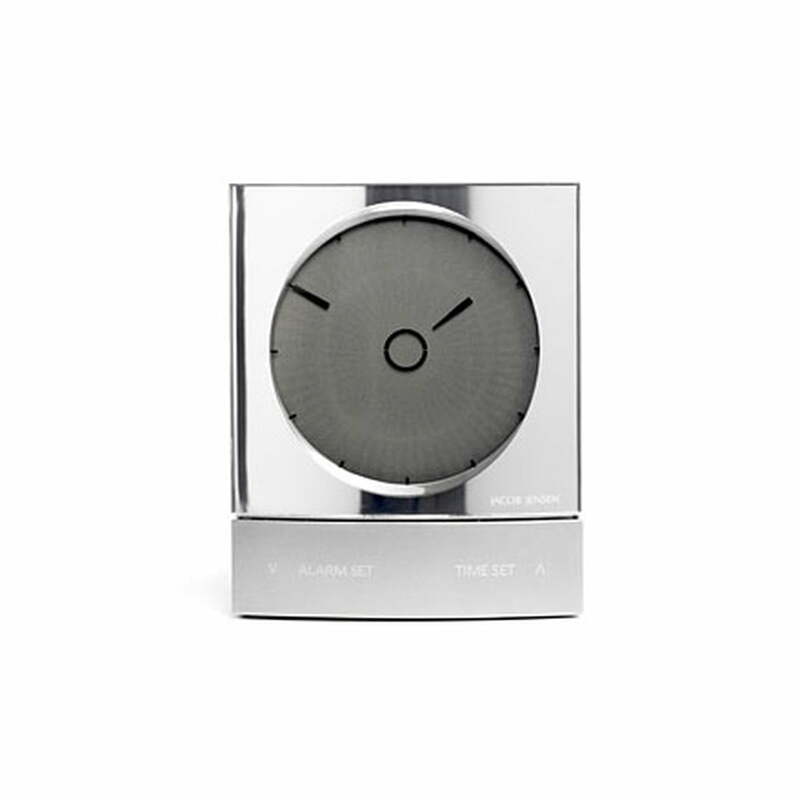 A key lock ensures that your wake-up time remains unchanged while travelling or in case of curious children. 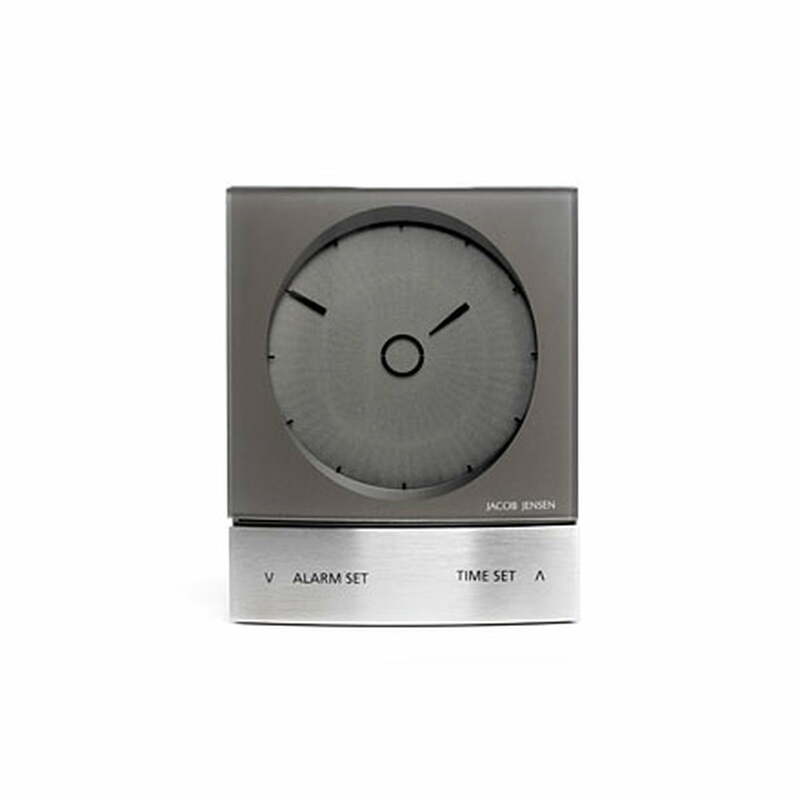 The buttons on the front enable an easier adjustment of the alarm time. 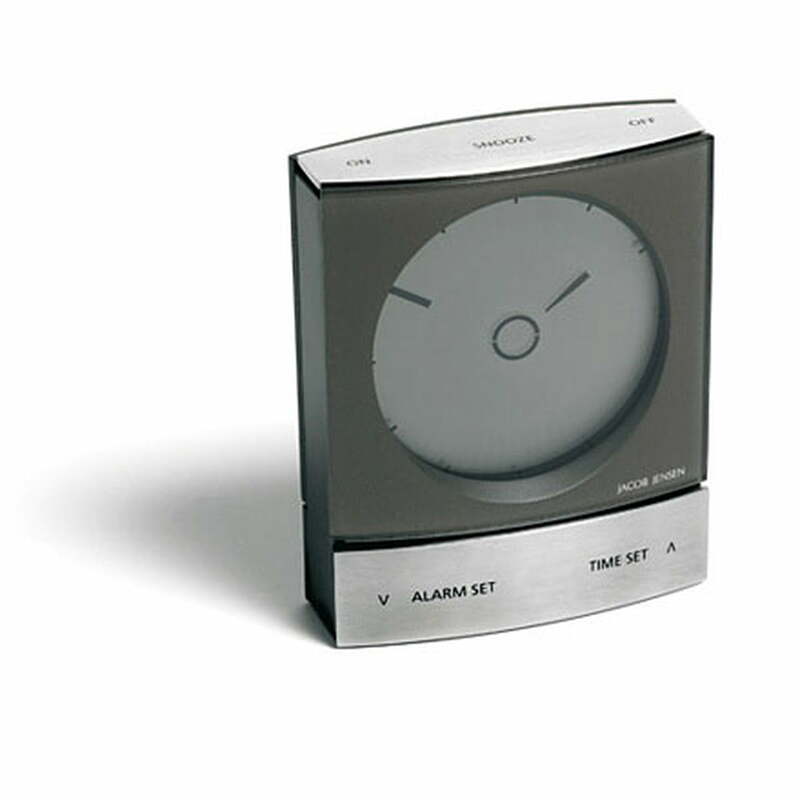 The clearly arranged display simultaneously shows whether the alarm or the time is being adjusted. Not least, high-quality materials guarantee reliability, precision as well as enjoyment of the product and design.